For a full Google Map of the glass manufacturing locations, click here. 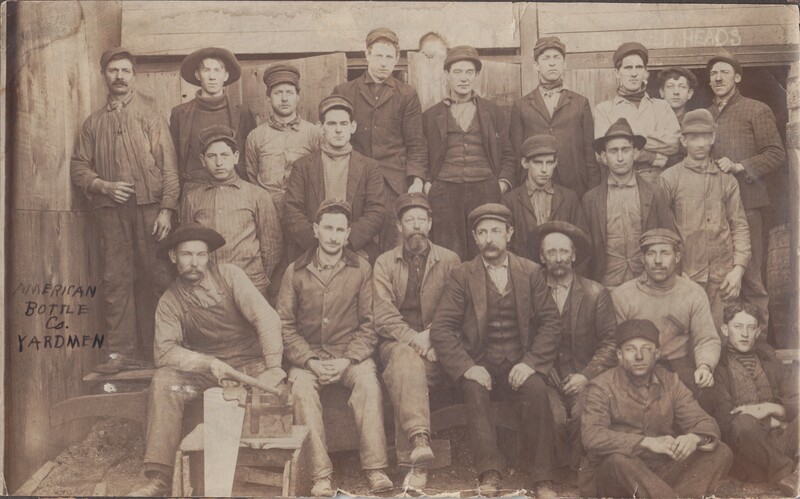 Like many jobs, the glass companies that occupied Massillon had different positions and required all the men to work together. There were the Glass Blowers, a Takeout, a Snap-Up-Boy, a Gaffer, and a Carry-In-Boy. Glass Company employees made ten to twelve dollars a day but only worked ten months out of the year because July and August were too hot to work. A Glass Blower would take a collection of glass from the furnace on the end of a blowpipe and then blow into a bottle mold. The Takeout is a person who opened the mold and removed the newly formed bottle from the mold. Then the Snap-Up-Boy would put the bottles in a gas furnace to keep them hot. After the bottles have been in the furnace for a period of time the Gaffer, who was also a Glass Blower and the lead man in the shop, would take them out and finish the necks. Then the Carry-In-Boy would use a long paddle to carry the finished bottles to a specialized oven where the bottles would be tempered. The companies were divided into “shops” or teams. Each shop contained two Glass Blowers, a Takeout, a Snap-Up-Boy, a Gaffer, and a Carry-In-Boy. Some companies would have as many as five shops per furnace. 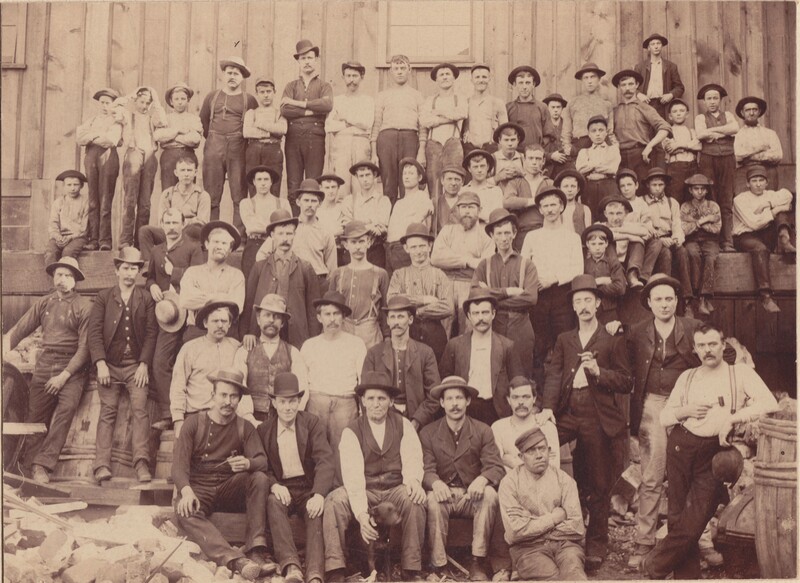 Click here for a list of glass employees in 1884 and 1903. 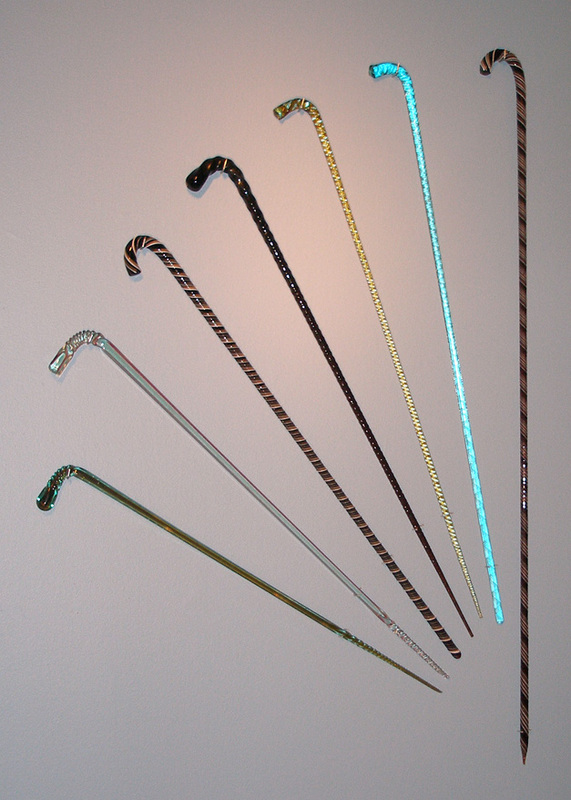 Seven of the thirty-four glass canes preserved in the collection show the variety of shape, size, and color of the cane whimsies created by glass factory workers. To read more about glass canes and glass whimsies, please click here. In their spare time, many workers were permitted to use the left over glass scraps to make “whimsies” which they were allowed to keep for themselves. The “whimsies” included paper weights, flowers, goblets, glass hats, and canes, all of which were intricately designed and showcased the workers’ talents. The glassblowers carried their glass canes when they marched in the Labor Day Parade. During the prohibition era, many of the workers designed hollow canes in order to conceal alcohol. 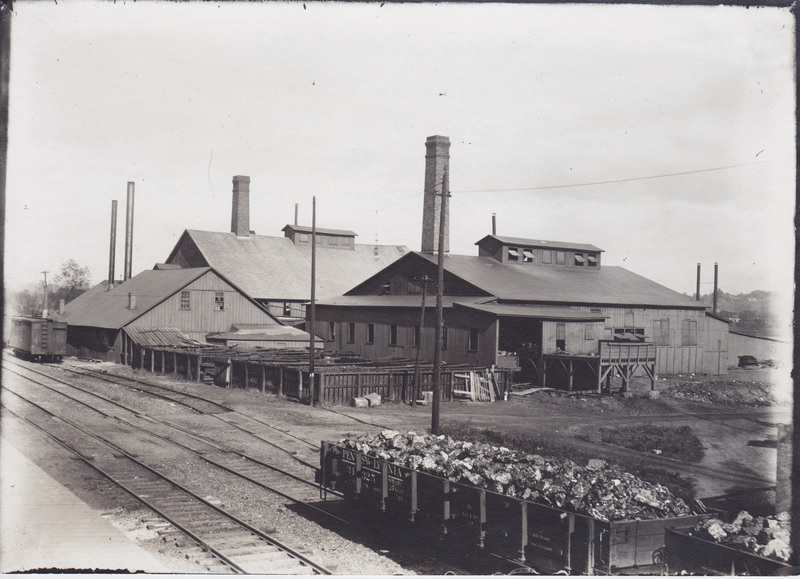 In 1880, Lorenz Stoehr accompanied by his two sons as well as Robert Morris, George Schultz, and Albert Wiegel was the first to open a plant in Massillon. With his experience in glassmaking, Stoehr operated the plant alone until the plant cought fire in 1882. He then reopened the plant as Stoehr-Keech and Company. Stoehr mixed the materials to make the table ware produced by the company. No one was allowed to see him mix the substances. Stoehr prided himself on his inventions of a mold oven and the process to use glass sweepings and scrap to make black glass. Stoehr-Keech and Company left Massillon in 1885, but Stoehr later returned and became the President of the Sippo Valley Glass Company. Andrew Boerner, Frank A. Vogt, and Felix Rhodes Shepley took over the vacant Stoehr-Keech and Company building to form the Massillon Tableware Company, which later became the Massillon Stoneware Company. 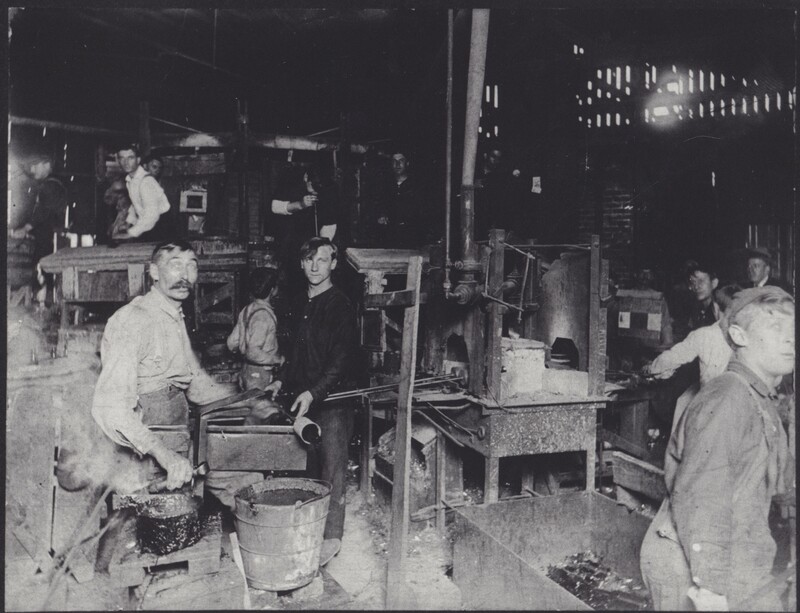 The Sippo Valley Glass Company was organized in 1885, and was one the first companies where groups were given free land, no taxes for ten years, and large sums of money if they were to build a glass factory in a small town. Rhodes Bottle and Glass Co.
Felix Rhodes Shepley and George Henrich organized the Rhodes Bottle Company, and Andrew Boerner served as the manager of the plant. The company had two tanks that manufactured beer, whiskey, and soda bottles. Their major competition at the time was with the American Glass Bottle Company. 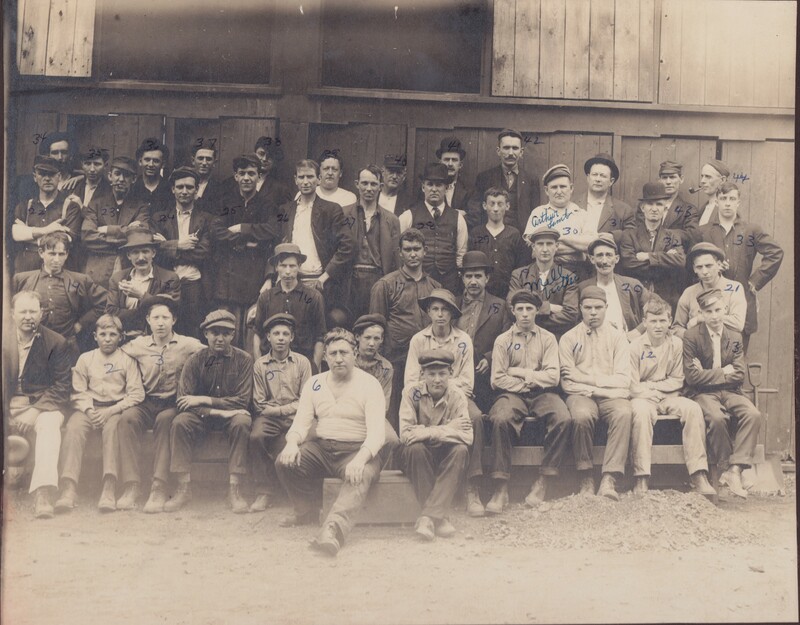 In 1910 Rhodes employed approximately 200 workers and produced thousands of bottles a day. There were three Glass Blowers on a bench and produced 250 bottles a day. With 36 Glass Blowers on each shift the company was able to produce up to 60,000 bottles a day. The Rhodes Bottle company was the remaining glass manufacturer in Massillon when it closed in 1923 because of automation and Prohibition. The plant was located on the west side of Canal Street Southwest. Weatherald and Wells manufactured window glass from 1884 to 1890. 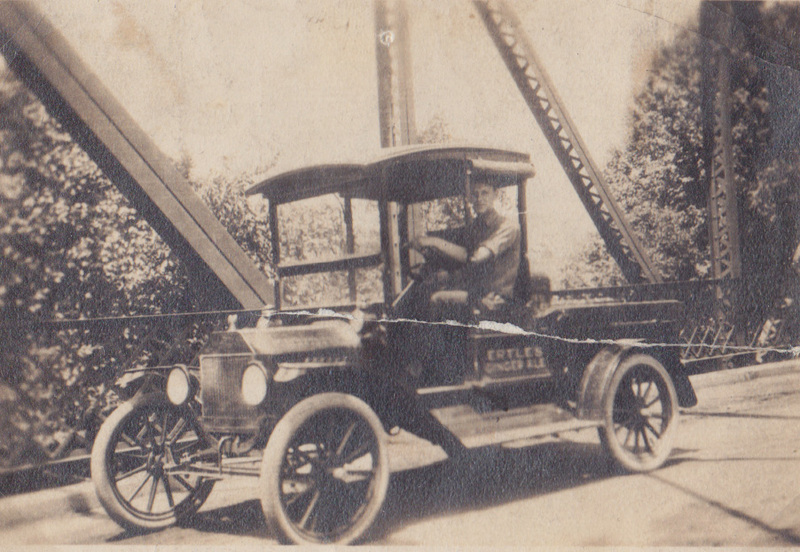 The company moved to Greenfield, Indiana in 1890. David Reed, Charles W. Reed, and John Miller started making bottles in 1881. 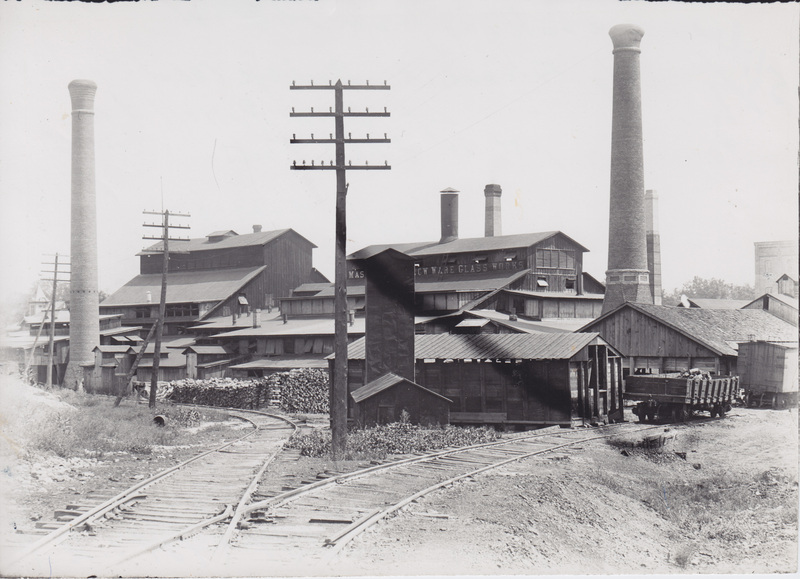 The plant was located on the west side of Canal Street Southwest, south of the railroad tracks. Two years later Joseph S. Reed succeeded Charles W. Reed. By the end of the century Reed and Company covered five acres that were filled with twelve buildings and employed an average of 300 people. Reed tested the temper of the bottles by dropping them on the plant’s brick floor. If the bottles broke upon impact they would fail inspection. However if they bounced and then broke the bottles passed. Each worker was paid by the bottle, but only those that passed inspection. 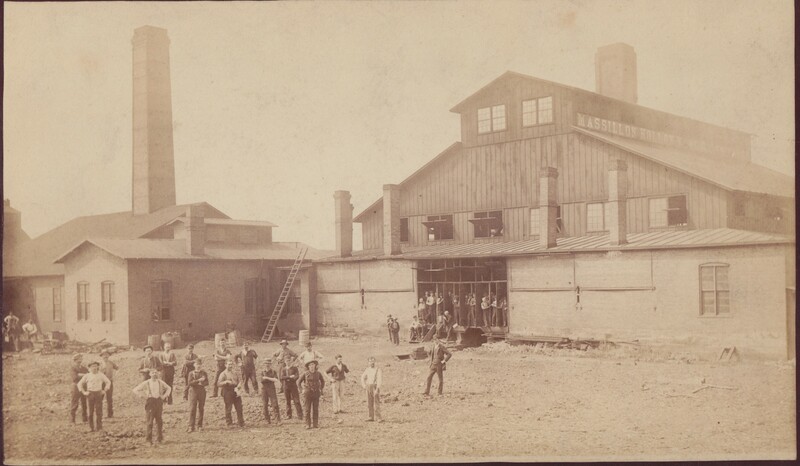 The Massillon Glass Works were known for producing green and amber beer bottles, which they sold to many western and southern states as well as Mexico. 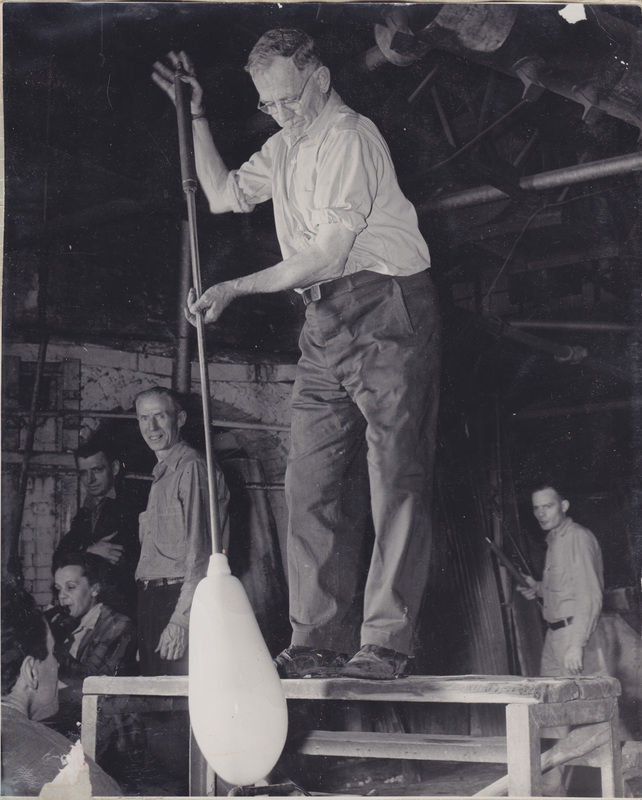 Reed and Company merged with Edward H. Everett Glass Company and the Wooster Glass Company to become the Ohio Bottle Company on October 11, 1904. In September 1905 The Ohio Bottle Company merged with the other glass companies and became the American Bottle Company. The flood in 1913 severely damaged the Company, and it never reopened due to the rapid progression of mechanization. The Massillon Bottle and Glass Company opened circa 1900, by James Pocock. 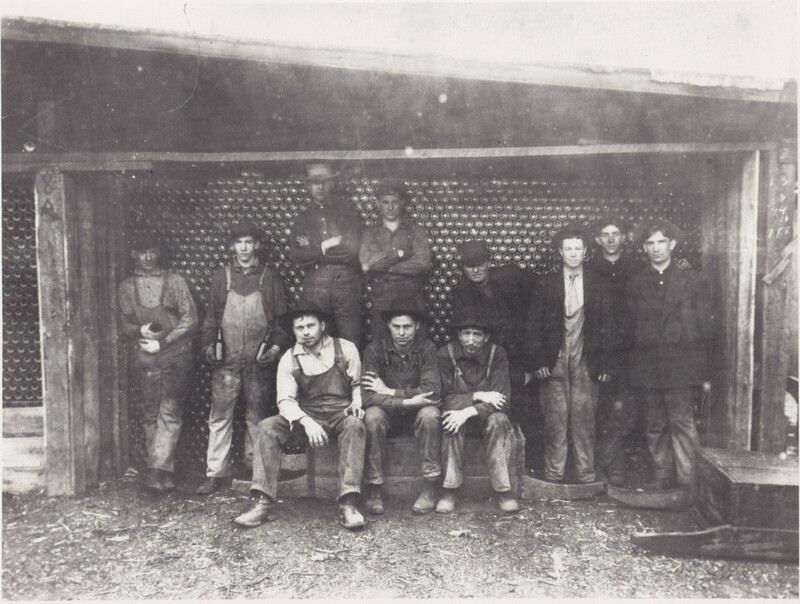 Pocock was originally interested in mining but soon turned to glass where he opened the Massillon Bottle and Glass Company. 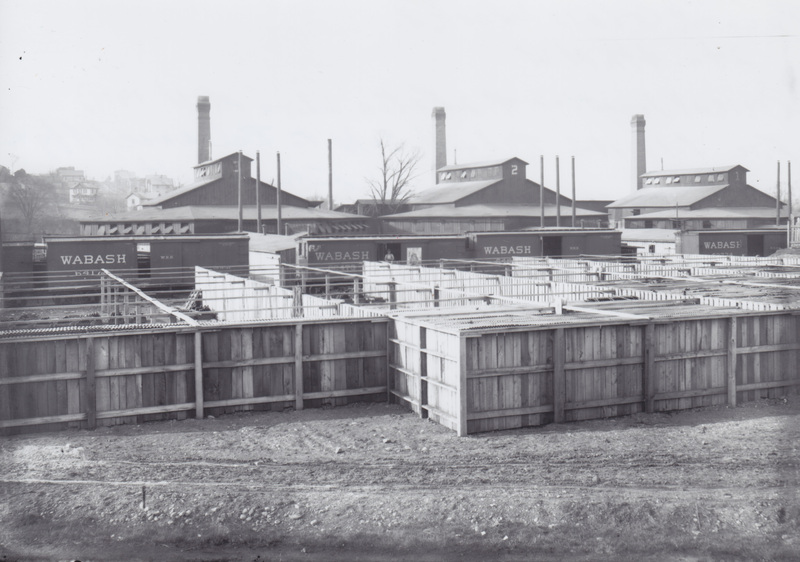 The plant was located on Fourth Street Northwest, and operated three tanks that manufactured bottles. In 1909 the Company merged with the American Glass Bottle Company of Newark, Ohio. 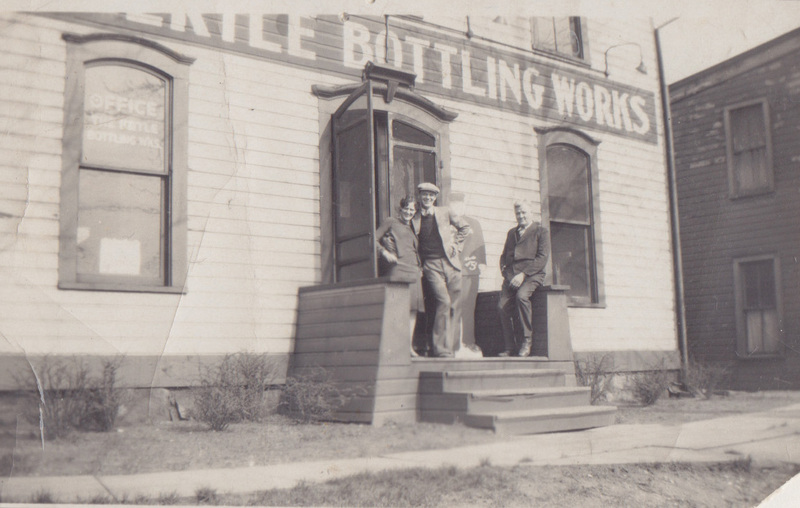 Ertle’s Bottling Works was established circa 1893, and was originally the Mineral Water Company. The company was founded by Edward Gleitsman , circa 1880s. When Gleitsman retired, he passed the company down to his son, Elmer and a former Employee, Andrew Ertle. The company changed its name to the Gleitsman Ertle Company. Then around 1893, the name was changed to Ertles Bottling Works, where the company sold various flavors of drinks such as, Orange Crush, Nuicy Ginger Ale, and Moxie drinks. The company was also known for its two different bottle sizes, the standard eight ounce bottle and the “Big Boy” which stored nine ounces of soda. Mrs. Andrew Ertle sold the company in 1947, four years after her husband passed away. In 1884, 58 people are listed in the city directory as employees of glass factories. Of those, 23 were glass blowers. In 1903, 375 people are listed in the city directory as employees of glass factories. Of that, 183 are listed as glass blowers. A * star next to a person's name denotes glassblower.